3000 мА⋅ч литий-полимерн., QuickCharge 3.0, PD 21W, время разговора в сети 3G (сведения производителя): 15.5 час., время ожидания в сети 3G (сведения производителя): 100 час. Radiant. 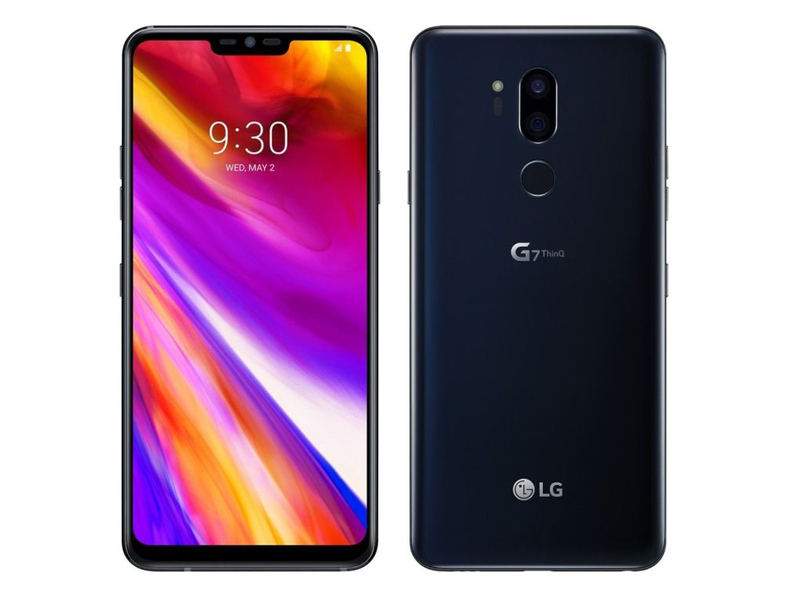 The LG G7 ThinQ is the successor to the G6, one of 2017’s first smartphones with a 2:1 display, frequently referred to as an 18:9 aspect ratio. 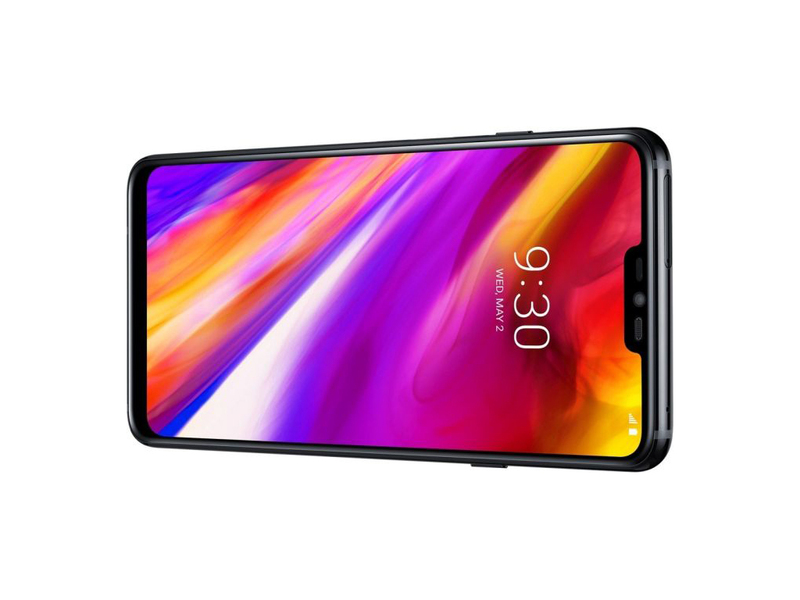 Notably, LG has followed one of 2018’s smartphone trends in designing the G7 ThinQ with a notch. The display is more than its notch though, with the G7 ThinQ being the first smartphone with an mLC display, which can get extremely bright. LG has improved the camera too and iteratively updated the hardware to Qualcomm’s latest flagship SoC. Find out in this review why the G7 ThinQ falls slightly short of the top-tier of current smartphones. Update: Cameras reviewed and final rating published. Как и в случае с другими «оверпрайснутыми» на старте продаж смартфонами, LG G7 ThinQ стал предпочтительнее для покупки только через несколько месяцев после выхода. Что он представляет из себя сейчас, в самом конце года? Это смартфон с отличным дисплеем, со все еще флагманским процессором Snapdragon 845, защитой корпуса по «военному» стандарту MIL-STD810G, хорошей, но не дотягивающей до топовых образцов камерой и едва ли не самым лучшим звучанием среди смартфонов. Если вы любите и умеете слушать музыку, то LG G7 ThinQ кажется очевидным выбором. И всё это – с полноценным практичным корпусом, сверхгромким динамиком и отличной широкоформатной камерой вдобавок к основной. Это не супер-супер смартфон современности, но лучший выбор, если вы часто смотрите на смартфоне фильмы и не экономите на наушниках для прослушивания музыки. Дорогое удовольствие, но такого «вкусного» сочетания качества экрана и качества аудио нет и не предвидится даже в самых новых китайских флагманах. При розничной цене этого телефона 59 990 рублей и полной поддержке производителя (что означает — впереди возможны обновления и улучшения прошивки), я определенно не стану агитировать против покупки смартфона LG G7. Но если только вы не ищете специально телефон с лучшим звуком (или вам позарез требуется радуга на верхней полосе экрана), я, пожалуй, не поставил бы LG G7 первым в списке моих рекомендаций. The LG G7 ThinQ camera is certainly not the best of its kind, but it gets close enough and can create some good images. With so many filters, shooting modes, and gimmicks, you can find a way to make every shot fun and interesting. In good conditions, the LG G7 ThinQ is capable of capturing nice images and video with pleasant color and good exposure. However, overall image quality is not quite up at the same level as the best in class. Dynamic range is a little more limited than we would expect from a high-end device, and image detail is only average, especially in lower light scenes. We also found the autofocus system to be a touch slower to react than for some direct rivals. The LG G7 ThinQ is a completely unsurprising, risk-averse smartphone that's meant to be smart, not flashy, unlike the LG V40 that just launched. It has an AI-powered camera, loud 'Boombox' speaker, and a bright 6.1-inch display. It's a reasonable, but not monumental upgrade over the LG G6. 82% LG G7 ThinQ Review – Is LG finally back? For me the G7 just feels like a phone that has been rushed out and the designers just didn’t get to polish the details out. The two biggest concerns, display calibration and camera calibration, are both fixable by software. But as we’ve seen in the past, the chances of vendors addressing such issues after the fact are slim and are more of an exception to the norm. For now, I don’t see the G7 as a competitive offering versus a similarly priced OnePlus 6, or a superior product, the Galaxy S9(+). LG produced a solid shooter in the G7, except it didn’t innovate in a significant way. The AI Cam isn’t as effective as advertised. Not bolstering the hardware inside was also ill-advised, especially when smarter software works better if it isn’t doing all the heavy lifting. 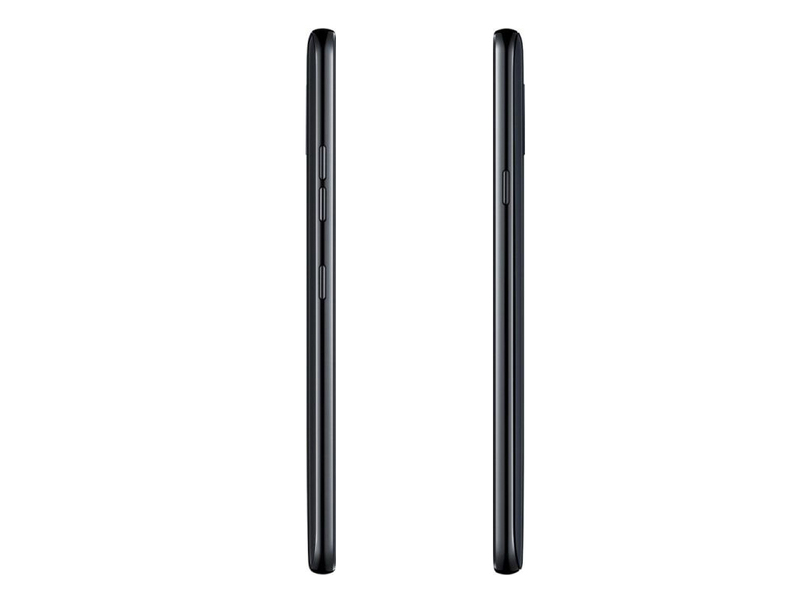 What you end up with is a phone that shoots closer to its predecessors than to its rivals. This isn't the most exciting phone, but a full set of genuinely useful features at a fair price is the kind of innovation we like. The LG G7 ThinQ is not meant to be its flagship That spot goes to the innovative V30S ThinQ. Yet this meets or exceeds many flagship paradigms. It is a desirable phone with a smart AI camera. LG G7 ThinQ Review: Worthy PHP 43,000 Flagship phone? 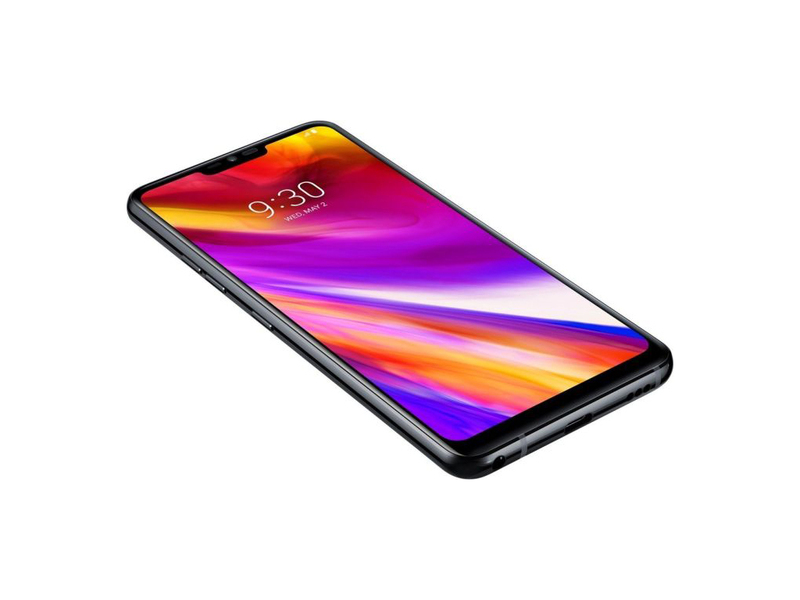 The LG G7 ThinQ is available through official local stores as well as in their official online store. The handset has a price tag of PHP 42,990. The device is a bit pricier than other flagship phones that contain almost the same specifications. Nonetheless, the LG G7 ThinQ is a good quality smartphone. It was able to take good shots and the phone works fast as well. Overall the G7 ThinQ is a quietly confident phone. Awful name aside, it's nowhere near as in-your-face about its unique features as the latest from Sony or Samsung are, but it has a lot of strengths. It's got the sturdiest design, the tallest and brightest screen and the loudest sound of the lot. Plus, with the latest Snapdragon chip, it's also just as fast. It's not like LG didn't try to compete with the rest. It made the LG G7 best at what it's advertised for - the design, durability, speaker, display, chipset, and camera. It pretty much has it all, even if with the few small caveats. While LG made very little changes in the exterior of the G7, most of the improvements were under the hood — a newer, more powerful chipset, gorgeous display, a better camera system, best sound in any phone and an AI ecosystem that adds to the over-all experience. And that leaves us with the question of who should buy a G7 today. This is not really a phone for enthusiasts. At $750 US, this is not a phone that you should pay full retail price for. Instead, the G7 makes most sense as an on-contract buy for someone who just wants a decent, small-ish phone with an emphasis on audio, and some neat camera features to play around with. In many ways the LG G7 is every bit the equal of its flagship rivals. There's power, a solid build, waterproofing and a great display. What LG offers than few-to-no others do is a second wide-angle camera, but the battery is a more limited than its rivals. What it does have in its favour is a reasonable price. Here's the thing about the LG G7 ThinQ: despite the silly name, it is a phone worth owning. It is worth owning for the awesome wide-angle camera, for the large and bright display, for the fast Snapdragon 845 chip, and for the extra-loud Boombox speaker. Its design may lack originality, but the premium look and feel you'd expect out of a 2018 flagship are definitely there. And at a full price of $750, the LG G7 is not terribly expensive either. In terms of comparisons, the G7 stacks up well against the other premium handsets on the market, but whether I'd recommend purchasing it over any other depends on your preferences. If you primarily desire a simple and smooth UI, I'd look elsewhere. If you want great audio and a good quality wide-angle camera, this is the device to beat. The real question is, does LG deliver the features you're personally looking for with the G7 ThinQ? In terms of its display, fit, finish and form factor, we'd say it's a compelling device to be sure, so long as battery life isn't top on your list of priorities. 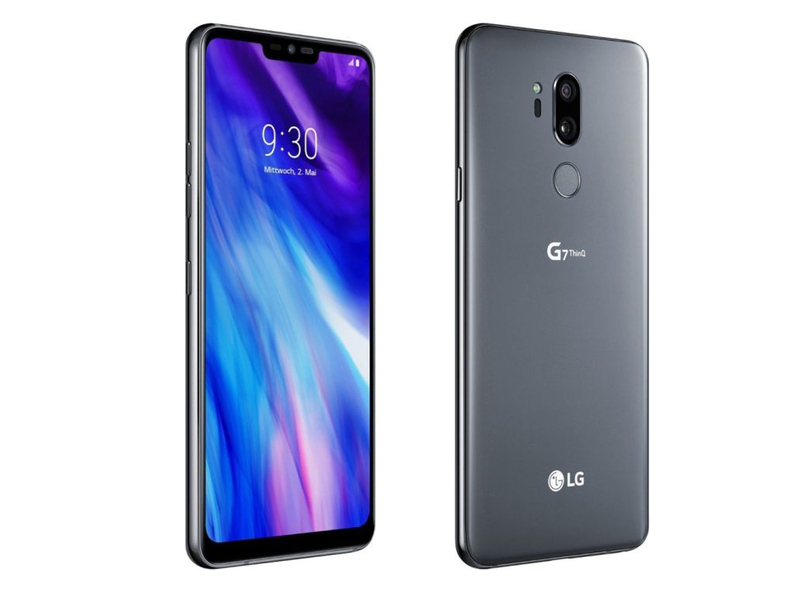 However, if you're looking for a top performing Android handset, with a gorgeous display, a great camera and all the latest technologies, like wireless charging, Qualcomm's potent Snapdragon 845 mobile platform, and all the AI supported hooks that come with Android 8.0 Oreo, the LG G7 ThinQ is worthy of your double-take consideration for sure. Overall it has all the ingredients for a runaway success. LG makes quality smartphones and should be on your shopping list. 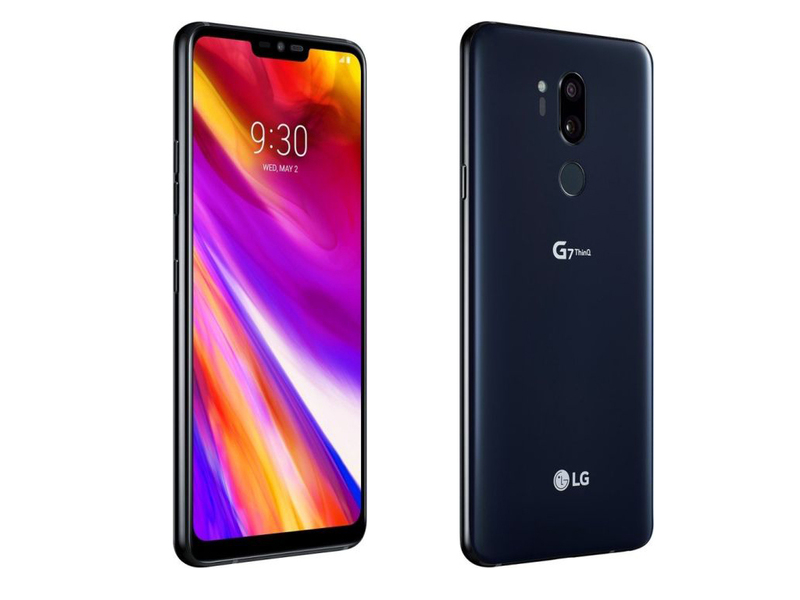 If you need a new smartphone, LG’s G7 ThinQ is as good a choice as any Android smartphone out there (apart from Samsung’s selection of top-rated – although more expensive – phones, the S9 and S9+). While the LG G7 has a bigger screen and a better processor than last year's G6, it doesn't improve in the areas that count: the battery and camera. With a retail price of $750 and full carrier support (meaning there will be deals to be had), I certainly wouldn’t recommend against buying a G7. But unless you’re specifically looking for the phone with the best sound or really want to add a rainbow to the top of your screen, I probably wouldn’t recommend the LG G7 as your first option. The one thing I'd suggest if you buy the G7 ThinQ is that you spend some time familiarizing yourself with the AI Cam. Decide if you love it or if you hate it, and get familiar with which situations and scenes it does better with. Remember that before you turn the feature on. The device’s audio capabilities, while nice, cater to a very niche market, while the display and battery life don’t quite match the competition. Sure, the device is fast, and it looks pretty, but as a phone competing in the upper echelon, it falls short of phone likes the Galaxy S9 and iPhone X. The LG G7 ThinQ is a completely unsurprising, risk-averse smartphone that's meant to be smart, not flashy. It has an AI-powered camera, loud 'Boombox' speaker, and a bright 6.1-inch display. It's a reasonable, but not monumental upgrade over the LG G6. 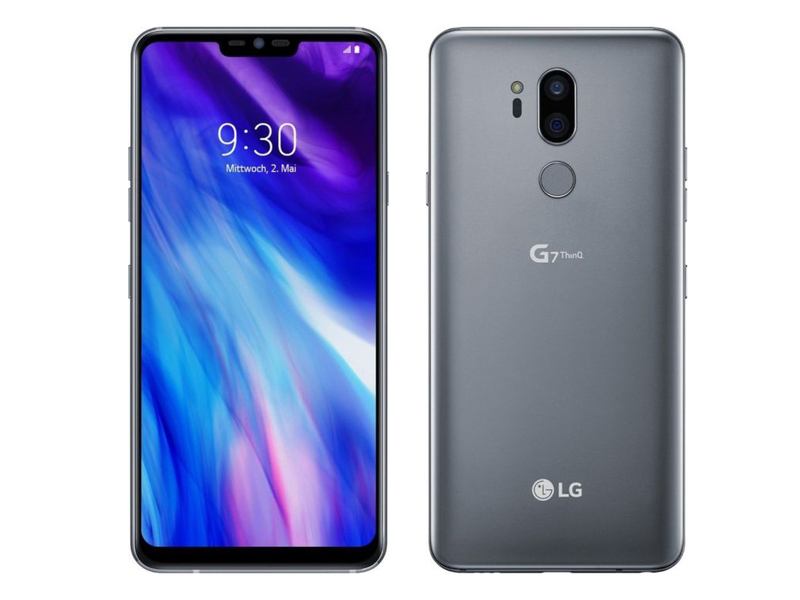 If LG was hoping to blaze a new path and revitalize its mobile division with the G7 ThinQ, I don’t think this is going to get the job done. The trouble really started with that name. There are definitely people who will buy this phone for its fun cameras and amazing audio. They’ll be happy. But this isn’t something grand reinvention. The G7 is iterative, looks like an iPhone, and its battery life needs improving. But if buzzwords are what it takes for LG to sell a lot of G7 units, then may the ThinQ brand live long and prosper. At the end of the day, the LG G7 is a solid, feature-packed, and reasonably priced Android flagship, and I plan on keeping it in my pocket for at least a bit longer. If you plan on doing the same, then I doubt you'd be disappointed. The LG G7 ThinQ may not look like the most original phone around, but from what I’ve seen thus far, it ticks all the right boxes for a flagship device. At £600, the G7 is cheaper than most flagships, but it's likely the OnePlus 6 will be cheaper still. In terms of features, the G7's highlights include the very bright screen, great performance from the Snapdragon 845 chip and surprisingly good sound from the mono speaker. We'll continue using it to evaluate the camera, audio, and more so please let me know if there is anything specific you want addressed in the full review. LG must be frustrated. Past attempts at innovation, the modular G5 and the G6, which pushed smartphone cameras and displays forward, haven’t toppled Samsung. Meanwhile, Huawei’s camera technology and OnePlus’s vivid displays and affordable price are making those companies more competitive. So LG scaled back its ambitions with the G7, a flagship phone that follows in the footsteps of the company’s rivals. The LG G7 ThinQ is a fine phone, but it does nothing to distinguish itself from more compelling offerings from Samsung, OnePlus and Google. The LG G7 ThinQ is a completely unsurprising, risk-averse smartphone that's meant to be smart, not flashy. It has an AI-powered camera, loud 'Boombox' speaker, and a bright 6.1-inch display. It's shaping up to be a reasonable, but not monumental upgrade over the LG G6. The LG G7 has a lot going for it. It has beautiful build quality, a gorgeous display with bonus brightness, a dedicated Google Assistant button, 3.5-mm headset jack for old-school audiophiles and an AI-powered camera that takes pretty great photos. The next few years are going to be big ones for smartphones. Next year, 5G will launch, enabling new applications and new form factors. We might see foldable phones, or AR- and VR-focused devices. But for now, we have the Samsung Galaxy S9 and the LG G7 ThingQ, which make everything a little bit better. We'll see by just how much when we get the G7 in for review. Check back soon for more info, including pricing and availability. It’s becoming increasingly difficult for smartphones to stand out from the crowd. The G7 ThinQ is certainly guilty of following the herd on the design front, but LG is betting on its sunlight-defying display, clever clogs camera and excellently-named Boombox speaker setup to mark it out as a smartphone worth considering. Hopefully, LG will do the smart thing and price the G7 below those Galaxies, P20s, Pixels, Xperias, iPhones, and make that the killer feature. It will be nice to see a well selling LG phone for a change. The company certainly deserves a winner. The LG G7 ThinQ tells a flagship story on the spec sheet, hitting a few unique points with an enhanced audio offering, that wide-angle camera and a good level of design and build. There's even a 3.5mm headphone socket. In conclusion, the LG G7 comes out of the gate as a very strong smartphone in its category, but one that faces stiff competition from Samsung’s Galaxy S9 and Huawei’s P20 Pro (and vice-versa). We will run benchmarks and more extensive photo tests once the G7 gets its retail firmware. But for all the G7’s laudable qualities, we can’t help but feel our time with it is rather inconclusive. There are a number of Android phones out there that have covered similar ground, whether that’s having a notch, dual cameras or cameras featuring AI. LG G7 ThinQ review (early verdict): can impressive audio credentials elevate this AI-packed Android phone? Equally, while the LG G7 ThinQ's camera tech is high-powered on paper, and did deliver some good shots during the hands on testing period, including in low-light, I did notice some less than ideal image processing when shots were blown up, so again until I can test the camera system over an extended period, I will definitely not pass definitive judgement. 91% LG G7 ThinQ anders aber gut! LG G7 ThinQ Der unauffällige Spätzünder? Lg G7 Thinq - Recensione E Come Averlo A 300 Euro! LG G7 ThinQ, recensione: display luminoso, e che audio! 80% Test du LG G7 ThinQ : pas mal mais peut encore mieux faire ! 88% Test G7 ThinQ : que vaut le dernier smartphone haut de gamme de LG ? Prise en main du LG G7 ThinQ : le smartphone qui risque de rater l’encoche ? 83% Test smartfona LG G7 ThinQ. Doskonały smartfon na wakacje?